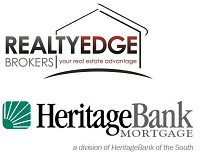 RealtyEdge Brokers is a growing full service real estate brokerage dedicated to providing extraordinary service to our clients. We specialize in helping guide buyers through the process of purchasing the right home at the best price and assisting home owners sell in the shortest amount of time at the highest price possible. We work together closely as a team so that our clients have a great experience and leave happy. Mary Carney and Susan McBride, also known as the Sister Act, have a well-deserved reputation for providing top notch service to their clients. They have many years of experience in the Columbus area and are two of the most trusted and respected realtors in town. Patti has a long list of satisfied clients by always going above and beyond by providing extra attention and care to every transaction and practicing a true people first' approach. She is a life-long resident of the Columbus area and has a passion to serve the needs of the community.